FROM A WINDOWLESS OFFICE in Silicon Valley, Mindi Thornton considered life on a farm. The Connecticut native grew up in a rural area, where she and her brother raised chickens and frequently visited friends who had dairy farms. With her 15-year-old son nearing graduation and her company offering a lucrative buyout, the timing seemed right for a return to the land. “I wanted to get out of my cube and grow something,” she said. 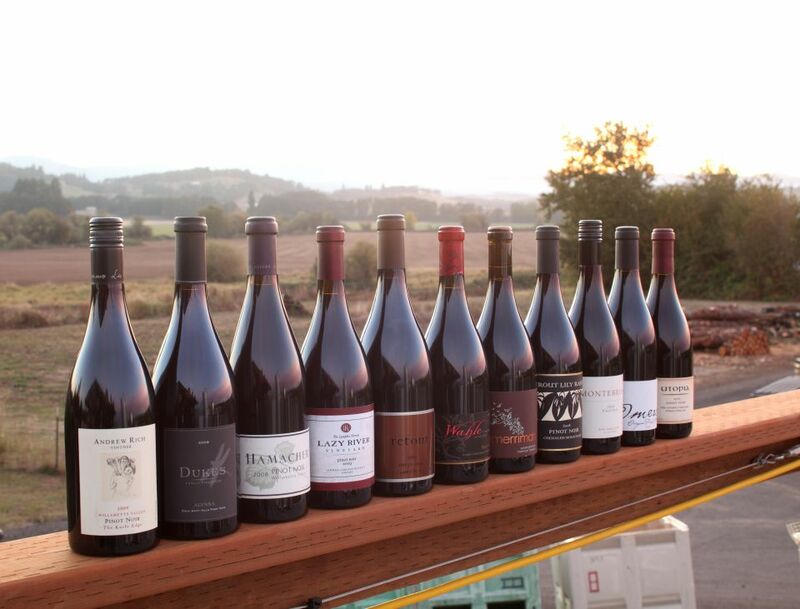 In 2005, she sold her house and bought a ten-acre farm in Corvallis. The future home of Kiger Island Blues had been an orchard, a tulip farm and a cow pasture over the years. 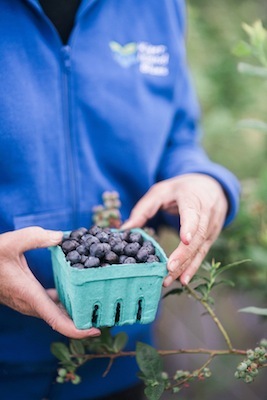 Thornton was leaning toward rooting fruit trees in the soil when a local farmer introduced her to a blueberry consultant. He was so persuasive that Thornton decided to dedicate six-and-a-half acres of the property to the perennial bushes. She and her son tilled the pasture and worked side-by-side with a field crew to form dirt hills in neat rows. 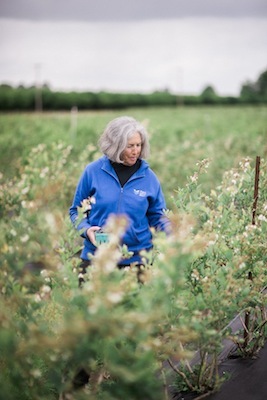 When a shipment of 10,000 blueberry plants in one-gallon pots arrived at her doorstep, they assembled a team to get them directly in the ground. In the three-year period before the plants started producing, Thornton, 65, single-handedly laid miles of drip irrigation lines. 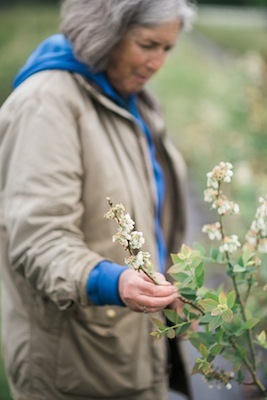 She took classes on blueberry growing through the Oregon State University Extension Service to understand how to keep her plants alive. She learned about fertilizing and well maintenance, insect and disease control, blueberry sales and marketing. She swallowed her fear and learned to drive a tractor and other heavy equipment. Nonetheless, things have worked out pretty well. 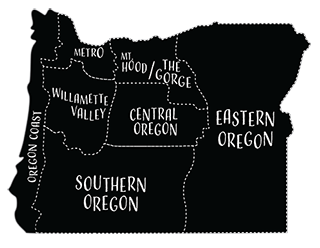 Kiger Island Blues focuses on three of the most common blueberry varieties found in Oregon—Duke, an early producer; Bluecrop, a mid-season strain; and Elliott, which comes on late in the summer. They pick their berries by hand before transporting them to a small shed on the property for cleaning and sorting. 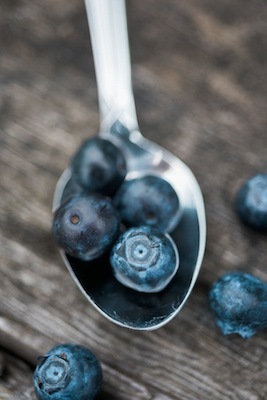 Thornton sends most of her blueberries to a company that packages them for grocery stores. She sells some to farm stands, local restaurants and individuals. A small quantity goes to a business that freezes and bags them. 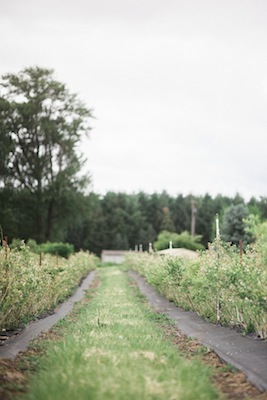 Thornton is just one contributor to the 90 million pounds of blueberries grown in Oregon every year. 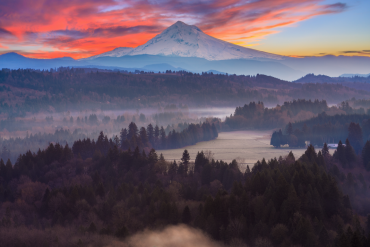 “The Willamette Valley is a little Garden of Eden,” said Bryan Ostlund, executive secretary of the Oregon Blueberry Commission. Fertile soils and a temperate climate yield sweet blueberries, ideal for eating fresh. They come into season around the beginning of July. Because the berries are packed with antioxidants, fiber, vitamin C and other essential nutrients, their popularity has spiked in recent years. Per capita consumption of blueberries in the United States has grown to fifteen times what it used to be, according to Ostlund. Kick off a meal or cocktail party with a Painted Lady blueberry dahlia from chef and owner, Chris Holen, at Astoria’s Baked Alaska. “When incorporating fresh berries into a cocktail, it’s a good idea to either muddle them into the cocktail, or add a bit of acid like lemon or lime to really extract and enhance their flavors,” he said. 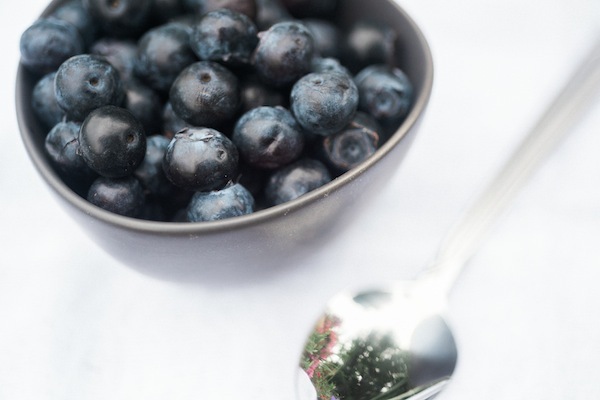 Blueberries’ sweetness also pairs well with savory dishes topped with simple blueberry sauce from Frankie’s Restaurant, a farm-to-table eatery in Albany. 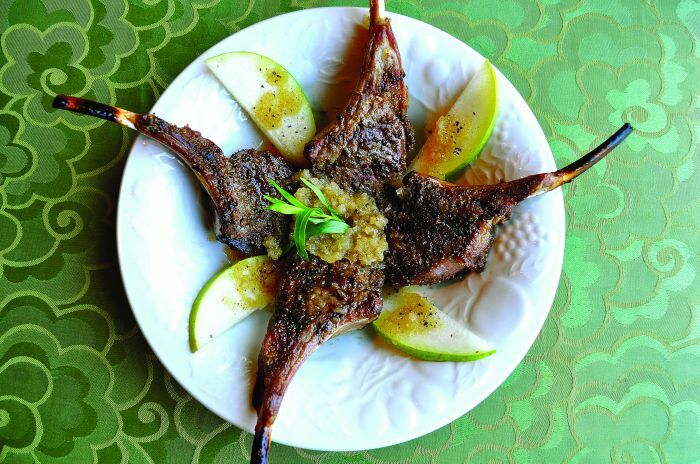 Chef and owner, Cody Utzman, recommends serving it with slow-roasted pork belly or buffalo steak. Try this trick with oatmeal chai blueberry pancakes from Jam, a Portland restaurant known for breakfasts made entirely from scratch. Owner and general manager, Katie Prevost, also likes blueberries for—what else?—jam. Try a fresh blueberry spread or compote atop the pancakes for a double dose of goodness.